Facebook Marketing Tip: Your Facebook Ad was not approved. Edit and try again. 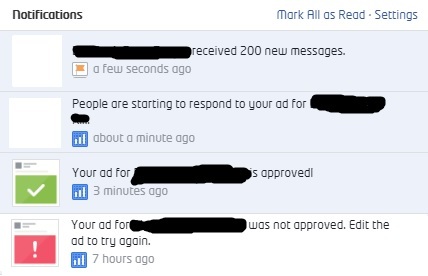 Facebook Ad was not approved and then approved after the adjustment. As you can see in the picture, my Ad was not approved and I’m trying to figure out what’s wrong with it since I’ve been doing the same type of Ads (Page Promotion) for more than 2 years already with the same Branding (Logo Watermark). Do you have any tips and problems with Facebook Ads? Feel free to comment. OLIVER SANTOS / MADSHOCK © 2008 - 2017. ALL RIGHTS RESERVED.